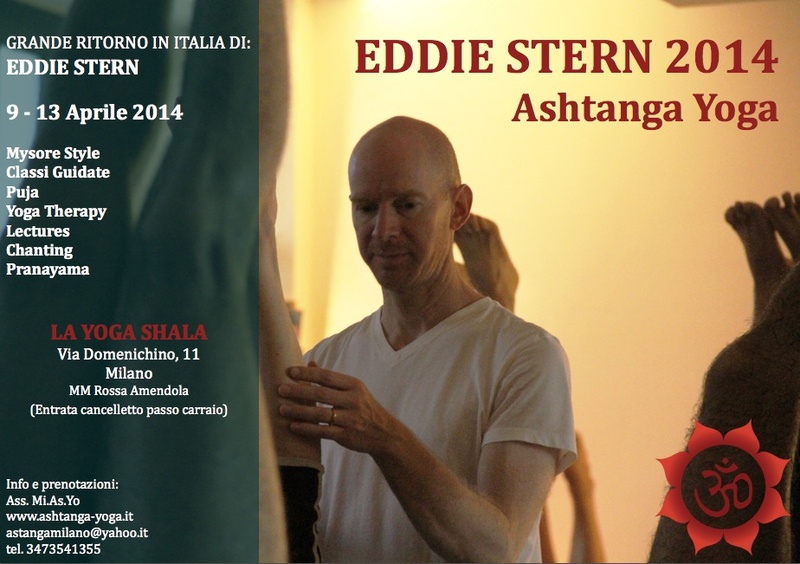 – 9-13 April: EDDIE STERN in Milan! Yup Eddie is coming back! So if you missed him the first time (as i did) make sure you don’t miss him this time! There will be Mysore style classes, Led, Pranayama, Puja, Yoga Therapy, Lectures & Chanting! More info yet to come! – 16-17-18 May: CHUCK MILLER in Turin! For the first time ever, Chuck Miller will be in Italy! The event is hosted by Yoga Sutra Studio in Turin, Italy. Chuck Miller has been practicing yoga earnestly since 1971 and finally learned Ashtanga Yoga from Sri K. Pattabhi Jois in 1980. Studies with Pattabhi include numerous extended and familial encounters in America and nearly 2 years during 7 trips to Mysore , South India . Teaching since 1988 Chuck was Director of Ashtanga Yoga and was a co-owner of the original Yoga Works in Santa Monica , CA , for over 16 years. This entry was posted in Ashtanga Vinyasa Yoga, Ashtanga Yoga, Corsi di yoga a Milano, Milano Italy and tagged ashtanga yoga, chuck miller, Chuck Miller in Turin, eddie stern, Eddie Stern in Milan, la yoga shala, torino, turin, yoga sutra studio, Yoga Therapy. Bookmark the permalink. 1 Response to upcoming ashtanga workshops!